The idea of starting fresh in January put me in mind of things I can do to start fresh every day, especially when it comes to skin care. My skin is high maintenance, so my beauty routine has been evolving to try to find something that is optimal for it. While I'm on the search, I'm always intrigued by the beauty tips and tricks I read about in vintage sources. They use things I would never think to use these days, and I wonder about their effectiveness. Oftentimes they're coming from movie stars whose skin does, indeed, look radiant, so can it be that these things really work? Here are three vintage tricks I decided to try out for myself and share my experience with you! On the Glamourdaze site I ran across an old article that described a movie star's solution to large pores: ice! (I can't seem to find the page for the life of me, I apologize.) This made sense to me, since we've been told to use warm water to open the pores, the opposite must be true to close them! I have large pores, especially on my cheeks around my nose, so I tried it a few mornings in a row before I put on my makeup. It's not like my pores completely disappeared, but I did notice a difference! It also seemed to help keep my makeup just on the surface of my skin. I found a recipe for a 1930s orange and lemon tonic (facial), and I made it and tried it out. 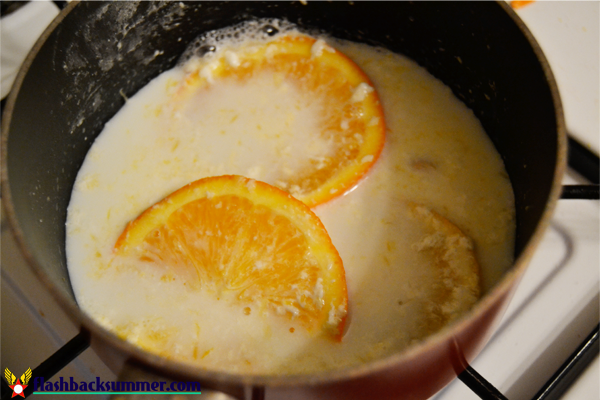 The milk and the citrus mix strangely while cooked, and it was a very clumpy texture to spread on my face. I put it on and let it sit for a bit, and while my skin did feel a bit tingly, it was only marginally softer when I rinsed. I don't have an exact source for this, but I do remember reading several stories as a kid that talked about getting an egg shampoo (perhaps in an American Girl book? ), and I knew I had to try this one! The things I do for you guys. It felt weird, very weird. 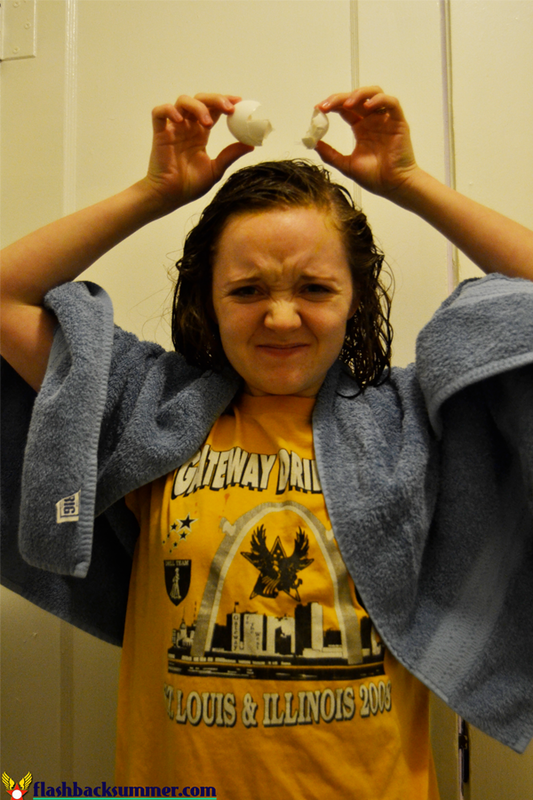 I shampooed with an egg, left it in for a couple minutes, then rinsed and let my hair dry. It might be a little shinier and softer... but I can't say that it is by much, if any. It might work well for other hair types, though. Would you be willing to try any of these? Have you tried any old school tips? Did they work or not? That photo of you with the egg shampoo is hilarious. Old school beauty tips like this are really interesting. Occasionally, you'll find one that works really well (I actually like doing a beer or champagne rinse on my hair now and then; it really does help make it shinier), but a lot of them are just weird things that generally harmless. I think it's really fun that you tried some of these out. I might have to try the ice trick myself. I know to put a raw egg in dog food to make it's fur coat shinier. Never heard of a apply directly method. lol I do remember Marilyn Monroe use to drink orange juice with a raw egg in it. That use to be the secret to an orange julius. I've had a tonic drink with a raw egg in it (I got it from a throwback soda fountain) and it taste surprisingly amazing. I am sure that would have better results for you hair over applying it directly. Though I would only use organic, locally sourced eggs instead of the ones in the super market. 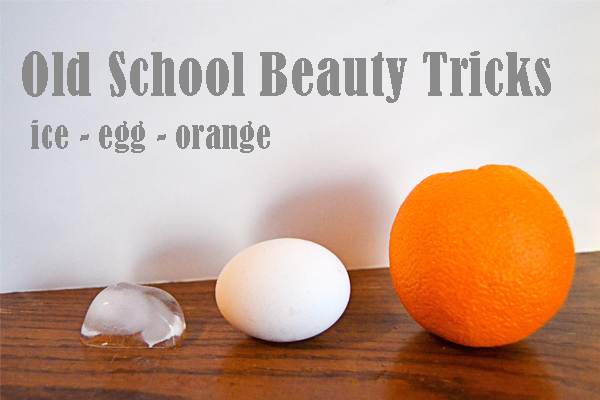 A raw egg on wet, washed hair strengthens hair and adds shine. It must be dried using a hair dryer. Dry until hair is stiff. Rinse with warm water and apply moisturizer if desired. This works. Apple Cider Vinegar is also good for dandruff, hair loss, removing product build up, softens and conditions. I read that raw honey is good for skin. Never tried it though. I did blow dry my hair, and it didnt seem particularly shiny to me, but I'm sure it works for some people! I have tried the honey on the face thing. It made my face a little softer, but it also lightened my skin tone about the shades! For the hair, you can used a mixture of honey(1 spoon), oil (I prefer argan oil) (1 little spoon), the yellow part off a egg, and 1/2 avocado or banana. You put that on your hair as long as you can before the shampoo (20 minutes minimum)!.You can use that on your face too! I use it once a week and it's very good for me. If your hair is very dry,you can apply 2 or 3 drops of argan oil with the same quantity of ylang ylang after shampoo on your hair ends. And the perfume of the ylang ylang is marvelous! I mean "you can use that on your face ALSO!" Brave you for trying that egg thing. Yuck! If I gave sore eyes I like to soothe them with cooled, used chamomile tea bags. It makes them feel better and look more sparkly.